Hard work and dedication finally pays off! 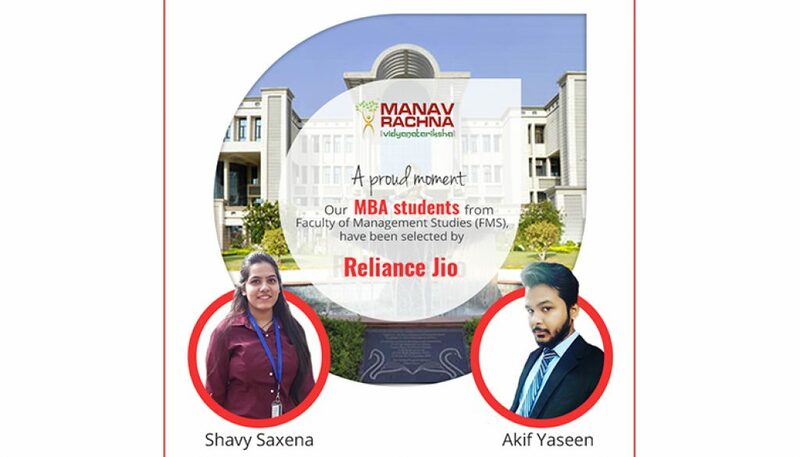 Another feather has been added to our hat as two of our MBA students- Akif Yaseen & Shavy Saxena from Faculty of Management Studies (FMS), Manav Rachna International Institute of Research and Studies (MRIIRS) have been selected as Area HR Trainee by Reliance Jio. 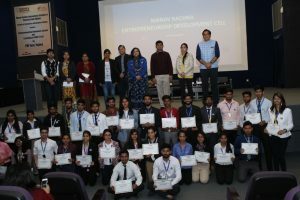 They will be working on Recruitment & On-boarding, Employee Master Data Management; Employee Engagement; Transfer and deputation; Employee Exit Management; Employee Relations compliance; Area MIS; Payroll, Reimbursements, Insurance and other HR related grievances. We wish them luck for all their future endeavors. 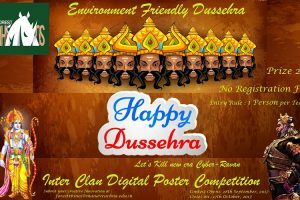 Digital Poster Making Competition on the occasion of Dusshera!